'And one more thing' is what he should have said. These iconic words have become as much Steve Jobs' trademark as his blue Levis 501 jeans, black turtle-necks and sneakers. That is how the Apple CEO has been introducing breakthrough products, at the tail end of his keynote address, as if it's an afterthought. As soon as Jobs says the magic words, black drapes uncover glossy banners and shining posters advertising the new product all over the seminar hall. Over the past decade or so, his keynotes have changed the course of both popular culture (especially with iPods) and computing (especially with iPads). Apple's product launches are kept under tight wraps, are beautifully choreographed and get the media and Apple enthusiasts worldwide, every time, like a parlour magic trick that does not quite get old, although oft-repeated. These product launches also give Apple millions of dollars' worth of free publicity, which is why the company is known to be paranoid about its product developments, and information is strictly rationed even within the company and its top management, on a strict need-to-know basis. "Some kinda new interesting cloud stuff," said Steve Jobs at the Apple WWDC when introducing the iCloud at the Moscone Center in San Francisco. WWDC is the Silicon Valley speak for Worldwide Developers Conference and the phenomenon is not unique to the Infinite Loop, Cupertino, California company. Any tech company worth its salt holds developers' conferences. Google's version is called Google I/O, IBM's event is dubbed Innovate and so on. This particular edition of the WWDC had about 5,200 attendees, some 120 sessions, over a hundred hands-on labs and over a thousand Apple engineers available, if you happened to have a particularly thorny Cocoa problem. Moscone Center, Apple's venue of choice, has always remained the same for its developer conferences, although the company had to return people because they could not be accommodated. Tickets had sold out in just two hours. But all that had happened before. What's different this time is that Jobs has deviated from his script. What's also different is, this "some kinda new interesting cloud stuff" is more interesting than new. MobileMe, about to be retired next year, is among those Apple products which did not click well with its gushing fan boys. MobileMe was about pushing user data to the cloud and actually hit the stands well before the word 'Cloud Computing' became the next sizzler in the IT world since sliced bread or ERP. Hot or not, it had a hefty price tag attached ($99 for a 20 GB subscription per year) and a lot of users chose not to renew the service after their trial periods expired. The complimentary .mac e-mail IDs which came with the service were tempting, but did not prove to be seductive enough, especially as companies like Google offered more or less what MobileMe was offering (e-mail, calendaring, online documents and so forth) for free. MobileMe also had more than its fair share of technical issues, forcing Apple at one time to extend the subscription for a complimentary time period by way of apology. Syncing was challenging, the service could be slow and CNET reported that at one time, the service locked about 1 per cent of its users out from their own e-mail. With iCloud, when anything changes on one of your devices, all your devices are wirelessly updated at the same time, if you are so inclined. Devices which will support iCloud include the iPhone, iPad and the iPod Touch. It will only support iOS5 and Lion (so you have to pay $29 upgrade cost if you are currently on Snow Leopard) with a valid Apple ID. Using iCloud with a PC will require Windows Vista or Windows 7 while Outlook 2010 or 2007 is recommended for accessing contacts and calendars. iTunes in the cloud will let you download tracks you may have previously purchased, to all your iOs devices for free. Music not purchased from iTunes can also walk and quack the same tune by using iTunes Match, a service that will replace your music with a 256 kbps AAC DRM-free version, if you can match it to the over 18 million songs in the iTunes Store. Which, let's face it, will be a match for most of our music, for the most of us. Apps which you buy via one device will be automatically available in all. Ditto, books. The Photo Stream part of the iCloud will automatically upload photos you take or import, on any of your devices, and wirelessly push those to all your devices and computers. When you are charging your devices, they will be getting automatically backed up into the iCloud as well. iCloud Storage will store documents using iCloud Storage APIs, and will automatically push them to all your devices. Therefore, when you will edit a document on any device, iCloud will automatically update the rest of the copies. Wanna Join Sir Paul In The Cloud? With iCloud, Apple is encroaching Google territory. The search giant has just launched Chromebooks, which are, in effect, really thin clients, with all the applications and the data residing in the cloud. If you are using iCloud, you will have a similar seamless integration experience, as far as your data go, especially if you have multiple Apple devices. (If you are on a high-bandwidth connection, you will probably won't even notice if your application software is on the cloud or not). Not only that. Apple is taking its first step and a giant leap towards consumer applications which do not reside in an Apple box, thereby providing competition to any technology company, big or small, which has a similar offering. Incidentally, this comes in the wake of Hewlett-Packard (HP) launching Sir Paul McCartney's private cloud-based digital library, with over a million items in the collection. As you may know, iCloud includes 5 GB of free cloud storage for your mail, documents and back-ups. Music, apps and books which we purchase, as well as the Photo Stream, do not count against the storage limit. Incidentally, Dropbox, a popular cloud service, also offers its users a free 5 GB threshold, charging for more storage if the user needs more. We have said that music, apps and books we purchase, do not count against the storage limit! How is Apple giving you what looks like unlimited, infinite storage? Elementary, Watson. It is not as though you will not notice the difference. Take pictures, for example. When photos are sent to your iOS device, they will appear in a Photo Stream album that holds a rolling collection of your last 1,000 photos. The iCloud will store new photos for 30 days, which will give you the time to download and save the photographs locally (so, if you are thinking of buying an iPad, better make it the one with the bigger memory). What about music? Well, Apple already has an extensive library. It has iTunes. What you will have, is the access to Apple's copy of the song that you have bought, which, in practicality, is the same thing, since you would have got it from them in the first place. Apple is not making multiple permanent copies of the same song if a zillion users just happen to buy the same track and store it in zillion different locations within the iCloud. You are not downloading the music from Apple and uploading it back again in the iCloud. If you are in the USA, chances are you use Netflix, the movie rental company which has on-demand television shows and movies. You can watch the movies as long as you are connected to the Netflix server. It is going to be something similar with your music in the iCloud. It will let you access any music you may buy in iCloud, as long as you are connected to Apple's servers and Apple's storage. Plus, you will have them locally, if you so choose, and can enjoy them offline. The same thing goes for books and apps. Sometime this fall, says Apple. 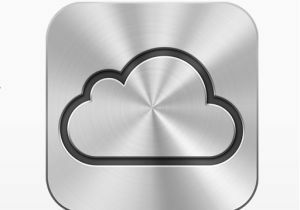 The iCloud beta and Cloud Storage APIs are available immediately to iOS and Mac software developers. And iTunes Match will be available for $24.99 per year, but it is slated to be available in the USA only for the time being.